Mix & Match Table Lamp Bases & Shades allow you to create your own signature style. Choose from an array of Traditional, Contemporary, or Transitional styles. These classic bases & shades can freshen up an old lamp, or let you design a lamp for your individual style. Mix & Match Table Lamp Shade - Match with any size B base you like best. 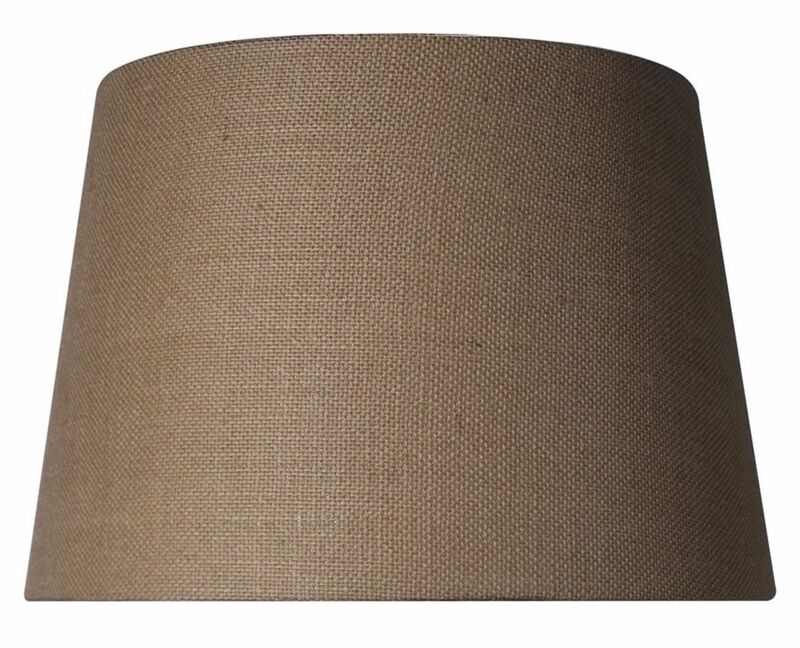 Shade Dimensions: Top: 12" Bottom: 14" Slant: 10"
Burlap Drum Shade Mix & Match Table Lamp Bases & Shades allow you to create your own signature style. Choose from an array of Traditional, Contemporary, or Transitional styles. These classic bases & shades can freshen up an old lamp, or let you design a lamp for your individual style.